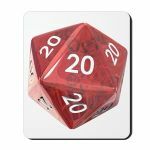 I am newish to D&D but have a willing group and wanted to buy them all some dice sets. I live in the UK and the range of prices is quite large but you can get 5 sets for about £10. What are people's experience of these cheaper dice and do I need to get better quality ones? Would you recommend any particular sets or retailers in the UK? It's largely just down to personal preference to be honest. I've bought cheaper dice and they've been fine just not as aesthetically pleasing. A standard polyset is all you really need. Pick something you like the look of, and I'd recommend a set where you don't need to squint to see the numbers. I buy most of mine from https://www.thediceshoponline.com/ in the UK. Go for legibility. Fancy curlicues surrounding tiny numbers might look good, but if nobody can read them from more than a foot away, I'd pass. Cheaper is fine. Some do the "water test" to see how true they are, but functionally, that's a bit pedantic imo, and a die's balance doesn't always increase with cost of dice. Over enough rolls, any die that isn't obviously lopsided to the naked eye is going to roll sufficiently randomly. I've also chipped dice once or twice, but that also doesn't have much to do with the quality, at least not in any way we can account for. Doesn't really matter what you start with. Soon you will be a dice junky and have more. And more. And more. I recommend one like this. Beyond that... I really like Chessex dice. I second the recommendation for legibility. Cool dice are fun, but they're not the point. Yes, yes, yes, yes, yes, yes, yes, yes, yes, yes, yes, yes, yes, yes, yes, yes, yes, yes, yes, yes and yes! Some dice are better than others. I cannot say that enough. I have been using them since the 80's and Gamescience are the best dice you will ever get. And no I do not work for them but this is the highest praise I can give them. Good luck on finding your Power Dice! I always bought and still buy a new set of dice whenever I start a new adventure/campaign. Fun habit. $4 sets tend to be single color. competition-legal backgammon dice tend to be $10-20/pr. in plastic. Used casino dice also in the $5 to $15 range. Oh and I know you're new to this but back in the day you used to have to color in your own dice. I still prefer it that way. It gives your dice a little extra energy! I've heard that on the cheap range, translucent/clear dice are better than opaque dice. Their material is different, and translucent dice, as long as they don't have air bubbles inside them, are usually more balanced. if we have to be compared to all these childish satanic clowns, please let us work outwards from this pathetic circus. This form of art deserves something else than these mediocre bands and their old music composed 10 years before by someone else." Is there anything wrong with this one? I believe this is absolutely true! It's mostly attributable to not being able to QC for bubbles in non-clear dice without non-trivial expense. I just want dice made to the same tolerance as casino dice. Gems that were partially gems in a prior state? I'll still manage to roll a natural 1 with this.